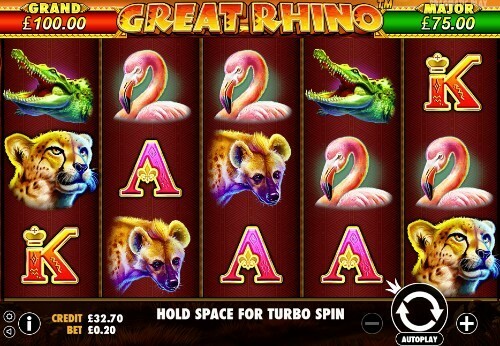 Great Rhino is a 5 reel, 20 line slot with African Wildlife themed from Pragmatic Play. 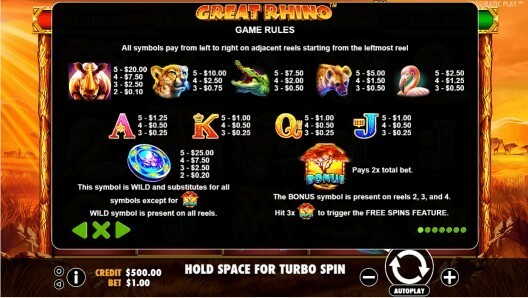 This UK slot comes with Super Respin and the Major Jackpot may reward up to 375 times of your bet. Join us and enjoy the amazing Africa trip.